If the IoT solution you are considering for your business requires any kind of rip and replace, maybe you should think twice before taking the plunge as your existing infrastructure is actually smarter than you think. The past few years have seen increasing pressure for businesses, regardless of industry, to undergo a digital transformation. Amidst all the talk about connected devices, big data and business intelligence, businesses are being bombarded with the message ‘disrupt or be disrupted’. Recent research has revealed that 81 per cent of CIOs believe legacy systems are having a negative impact on their businesses, but although there is clearly a case for infrastructure investment, the need to disrupt needn’t be tantamount to huge expenditure. If the Internet of Things (IoT) solution you are considering for your business requires any kind of rip and replace, maybe you should think twice before taking the plunge as your existing infrastructure is actually smarter than you think. The Internet of Things is at the heart of most digital transformation strategies – streamlining processes and improving efficiencies. Over the past 12 to 18 months, organisations across every market have embarked upon pilot IoT deployments to prove the value of the data derived from a vast array of devices and sensors. These initial deployments have opened the eyes of businesses to the potential of IoT, but the question many are faced with is how to roll this out effectively across the business, balancing the benefits of IoT data with the cost of implementation. For those looking to reap the rewards of the Internet of Things, ripping out supposedly out-dated systems and replacing them with brand new, state of the art facilities won’t necessarily do the business any favours. Not only will this exercise be extremely costly, but it will also remove the infrastructure that is already there – infrastructure that holds a mountain of data that can be put to work improving the business. The potential business benefits of the Internet of Things are truly transformational. It not only has the ability to increase productivity, streamline efficiencies and save money, but for companies that are able to get their IoT deployment right, it has the potential to generate additional revenues by adding value to the business’s core purpose. For many businesses, this concept is fantastic in principle, but the question is how many are willing to explore this potential if there is a huge initial investment attached to it? Take refrigeration and cooling with the food retail industry as an example. 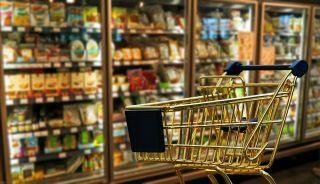 It seems unlikely that replacing every in-store fridge, freezer or food delivery van is going to appeal to a multiple retailer whose core business focus is selling produce, as the cost will far outweigh the immediate benefits. For businesses undergoing digital transformation, they need a way to roll-out IoT without incurring huge upfront costs that will delay the company seeing a return on its investment. Rather than investing in brand new equipment, the answer lies in existing infrastructure. The data that is an increasingly vital part of many enterprises’ digital strategies is already being generated, businesses simply need a way of extracting, understanding it and releasing its value. The food retail industry candidly admits that supply chain complexity has meant it is easier and safer to chill all food to the lowest required temperature meaning an annual over-chill by millions of degrees. Typically, in a store environment, refrigerated cases are all set to one standard very cold setting in order to ensure items that are highly temperature sensitive, for example meat, can be sold safely. However, not only does this approach use excess energy, but chilling all produce at such low temperatures can have a detrimental effect on certain items. Take yoghurt for example, over-cooling squeezes the product, resulting in the familiar, yet distinctly unappealing watery layer on top. As the impact of over-chilling has a tangible effect on the quality of the products a retailer can sell, this, along with the potential reduction in cooling costs is significant motivation to put in place technology to give better control over the temperature of food in the cold chain. Using an IoT layer, businesses can tap into the available data locked within legacy machines. By integrating it with supply chain and merchandising systems as well as the fridge control systems in real time, the temperature of each fridge can be automatically managed to suit its specific contents. The result supports both business drivers - energy consumption is reduced, and a higher quality product can be achieved, resulting in a better customer experience. The 'always on' nature of this approach ensures that even throughout the course of normal business when products are moved around the store, the right temperature for the right product is sustained automatically. Likewise, within the food manufacturing industry, Internet of Things technology at the edge can provide the necessary insight to monitor each stage of the process when creating foods in batches. Consistency of both ingredients quantities, and environmental factors can be regulated and the available data from each stage of the process united to ensure the highest quality, most profitable end-product every time. The key to successful IoT deployments is that a company is able to use the data generated by IoT projects to support and further its core business. A big part of this means ensuring that the technology it chooses to implement must not only be able to improve operations, but generate a return quickly. By adopting the approach of adding an IoT layer, enterprises can keep costs down and reap the benefits of IoT in a way that makes sound business sense. here is no denying that the Industrial Internet of Things is gaining momentum, but legacy equipment should not be a setback to its fruition, instead it should be at the heart of it. Many enterprises have the data needed to modernise sitting unused in their current systems, and now is the time to unlock it. IoT offers a world of opportunity but it must be implemented in a way that makes business sense. By taking full advantage of existing infrastructure with an IoT layer, enterprises can efficiently and effectively transform their organisation in a way that supports their core business purpose.